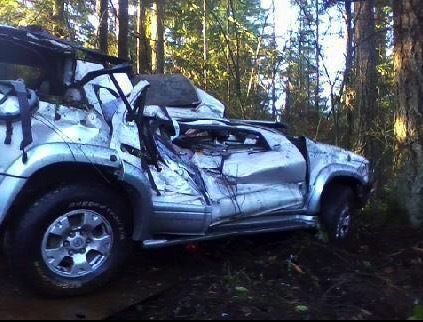 While driving her kids to school on Thursday Kylee Barrett’s vehicle hit black ice and her 4 Runner spun off the road. In order to avoid hitting a vehicle head on, she crash into the trees at the side of the road. The force from the crash, however, caused her SUV to flip over. 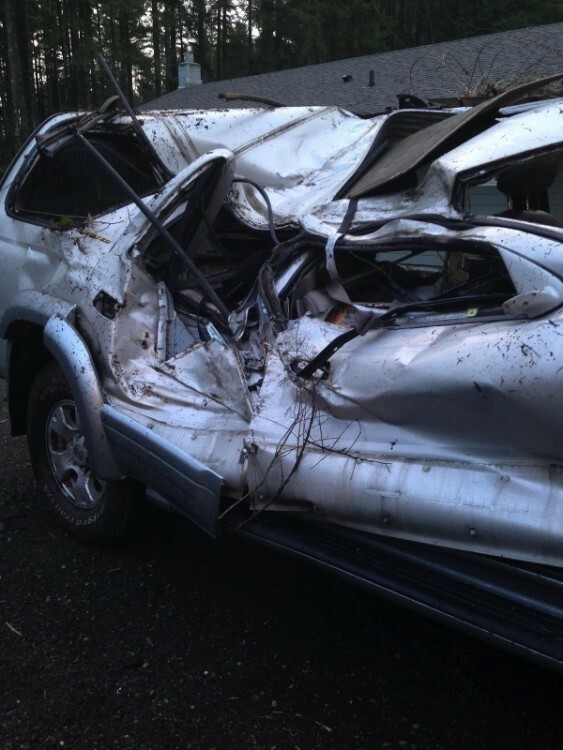 But despite this Kylee and her sons survived the crash. 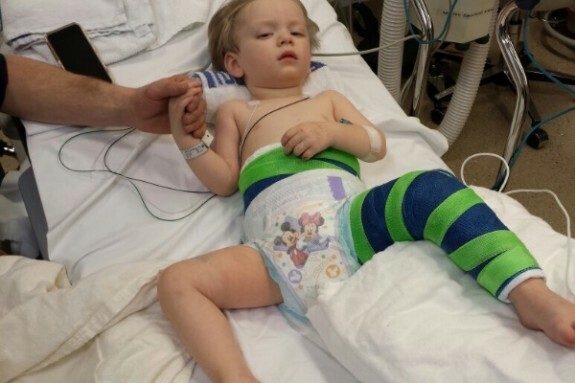 The mom sustained whiplash and bruising on her chest, while her 5-year-old son, Kolton, left the accident with a bump and “tiny scratch” on his forehead, and her 2-year-old, Hunter, had a broken femur. Their saving grace? The positioning of their car seats. 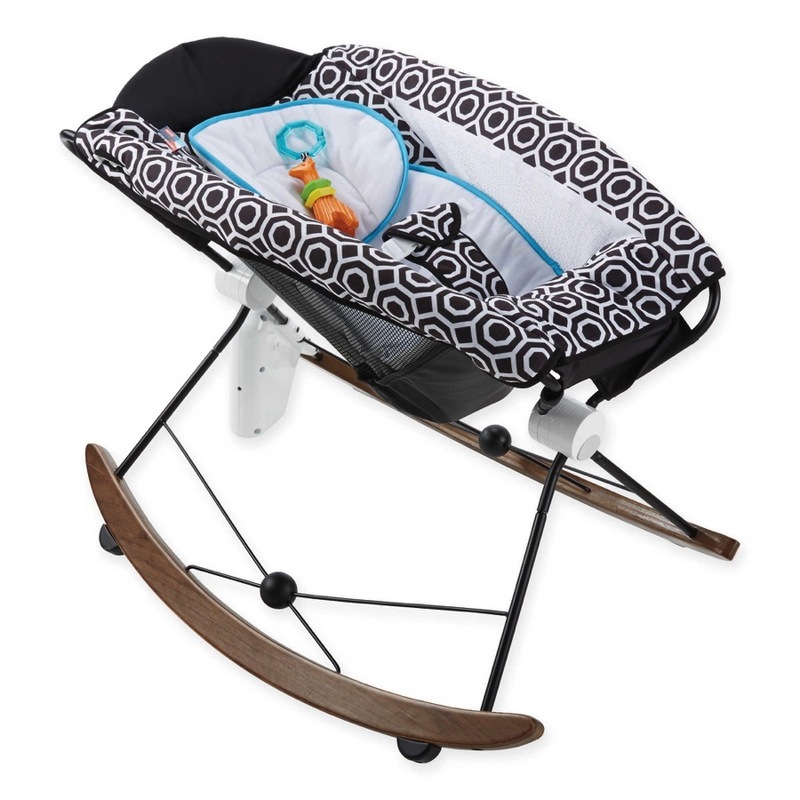 According to the mom, Kolton was in his booster seat in the backseat on the driver’s side, and Hunter was in the backseat on the passenger’s side of the car in a rear-facing car seat. 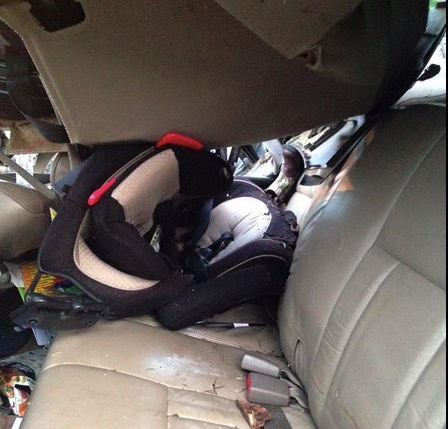 Because Kylee was hit on the passenger’s side, Hunter’s seat took the brunt of the crash. Barrett and her husband, Corey, have created a GoFundMe account to raise funds to help her family buy a new car.